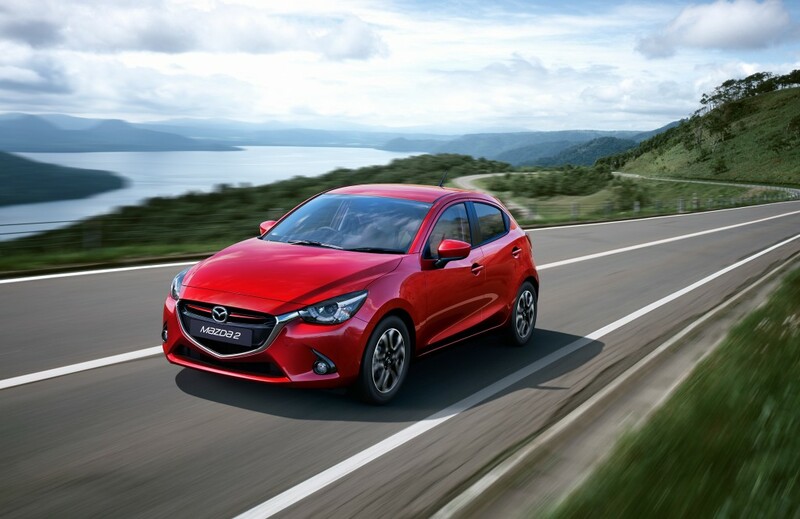 The prices and spec for the all-new Mazda2 have now been announced for what is a very impressive vehicle and it should bring some serious competition in a fiercely fought segment. The new car is no longer based on the Ford Fiesta’s underpinnings and there are 16 models in the line-up with prices ranging from £11,995 to £17,395. The new Mazda2 goes on sale early next year and there are five trim levels with lots of kit coming as standard. To help fight for a share of this segment, Mazda is also highlighting that its Mazda2 has a premium feel to it and high levels of craftsmanship. Among the cutting edge technology fitted to the new car that buyers can enjoy is a 7-inch colour touchscreen, and smart phone connectivity. However, one of its biggest attractions will be the active driving display which is a first for the B segment in that the vehicle’s important information will be displayed on to the windscreen. Mazda have also fitted the small car with privacy glass, keyless entry and climate control air con. Other models also come with 16 inch alloy wheels, an integrated satnav system, rear parking sensors, rain sensing wipers as well as dusk sensing lights. Under the bonnet, there’s a choice of two engines with four outputs. There’s a 1.5 litre petrol Skyactiv powertrain and a 1.5 litre diesel unit. Both are very good performers to help bring performance and agility to the Mazda2. Safety kit includes a tyre pressure monitoring system, traction and stability control as well as hill hold assist. On board there’s plenty of room for adults and the layout has a user-friendly feel to it and premium equipment. In addition, the new Mazda2 is lighter than its predecessor and it offers a lots of car for the money. Hopefully this Mazda2 will be more successful than its previous incarnations, all of which were excellent cars but which were not huge sellers. This car may well be different and deserves to be a success. This entry was posted in Car Leasing, Car Updates & Releases, Cars, New Cars, Small Car and tagged mazda, mazda2 by Steve Lumley. Bookmark the permalink.